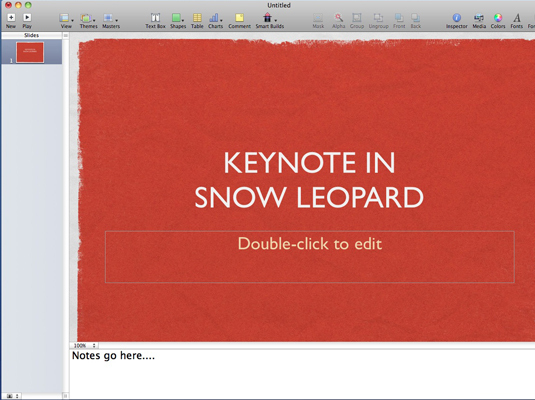 Mac OS X Snow Leopard makes it easy to make notes for a presentation. 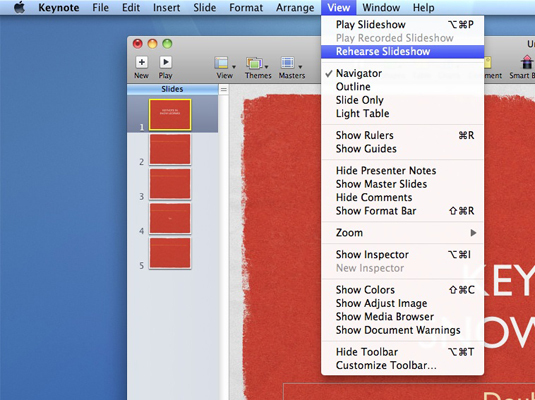 When you create a presentation in Keynote, you can type text notes in the Notes pane. For example you can use them for displaying alternate topic points while presenting your slide show. However, you can also print the notes for a project along with the slides, so presenter’s notes are also great for including reminders and To Do points for your audience in handouts. You can add notes to just selected slides or to all slides and you can even print them and hand them out if you like. To type your notes, just click within the Notes pane; if it’s hidden, click View→Show Presenter Notes. When you’re done adding notes, click in the Slide list or the Layout pane to return to editing mode. Type notes to help you with your presentation. If you’re using iWorks 09, you can display your notes while practicing by using Keynote’s Rehearsal feature. Click Play and choose Rehearse Slideshow, and you can scroll through the notes while the slideshow runs. Keynote helps you practice your speech.